How has 3D printing been used in the world’s fastest lawnmower? Wonder how they made the props for Black Panther? All this and more 3D printing news from iMakr, Roboze, Leica, EOS – and a new fishy 3D printing enterprise. Diamonds are… solid blocks of carbon with a diamond cubic crystal structure. Rotterdam based 3D printing specialist Tiamet have announced a nanodiamond-enhanced 3D printing filament. The nanodiamond particles are about 5 nanometers thick, roughly twice that of a single strand of human DNA. The nanodiamonds can be added to polymer filaments to provide some of the super-hard properties of regular sized diamonds. Mysterious Japan based Open Meals say they are 3D printing “sushi”. Or rather, very convincing looking facsimiles of sushi made by stacking cubes of an edible gel injected with colors, flavors and nutrients that supposedly match real sushi. Would you eat 3D printed sushi? Image via Open Meals. The Afrofuturist aesthetic of Marvel’s Black Panther was in part made possible by 3D printing. The 3D printing software solutions and service provider Materialise worked closely with Julia Koerner, a designer specialising in 3D printed wearables, to create many of the costume pieces in the film. SLS was used to create pieces that were supple enough to be comfortable on set whilst stiff enough to maintain their shape. Angel Bassett wears a 3D printed crown in Black Panther. Photo via Materialise. Bose is developing 3D printed augmented reality glasses. Rather than displaying graphical information to the user like Google Glass, the glasses are fitted with speakers to provide audio information to wearers. Top Gear, the popular UK motoring show, is using 3D printing to fabricate a bonnet to the unique specifications required for the world’s fastest lawnmower. A 3D scanning expedition has been mapping the expansive 8km long volcanic caves beneath Lanzarote, Spain. The team used the lightest scanner available to them, the Leica BLK360, which weighs just 1kg, and was therefore ideal for navigating the La Cueva de los Verdes caves. “In a place like the Gaza strip, Littmann’s stethoscope – the gold standard kind that you see around your doctor’s neck – is literally unavailable” says Dr Tarek Loubani. Dr Loubani and researchers at Western University, coordinating with researchers in Gaza and Germany have developed a 3D printed stethoscope. At a cost of under $3, the stethoscope could improve basic care in regions like the Gaza strip. 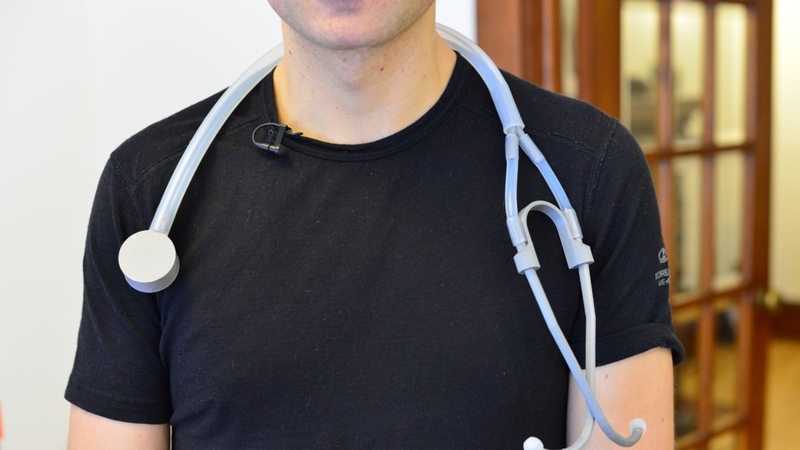 3D printed Stethoscope. Photo via Dr Tarek Loubani. A library in Marion County, West Virginia, is providing public access to a 3D printer as part of a modernising process expanding their digital and technological reach. Faster 3D printing with 10 print heads? The Royal Australian Navy (RAN) is running weekly workshops training its engineers in CAD and 3D printing. RAN hopes that this will enable engineers to 3D print replacement parts aboard naval vessels at sea. EOS, the manufacturer of 3D printing solutions such as the P 500 3D printer, has opened an Innovation Centre in Düsseldorf. The team in Düsseldorf comprises experienced engineers and consultants that will help EOS’s clients plan and optimize industrial production with 3D printing. Engineering and manufacturing service provider HB Technology has added a Roboze One + 400 to operations. The Roboze 3D printer is targeted at manufacturers in the aeronautical, defense and space industries. iMakr has partnered with EnvisionTEC to distribute 3D printers. iMakr is a global reseller of 3D printers, scanners and services. EnvisionTEC produces 3D printers aimed at professionals in the industrial and medical markets. The partnership will provide iMakr’s customers will access to EnvisionTEC’s range of industrial 3D printers. 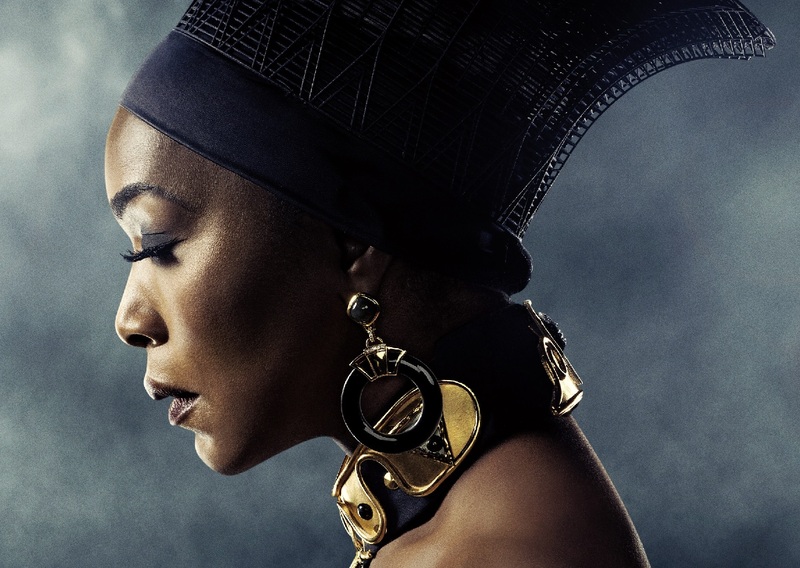 Featured image show Angel Bassett wearing a 3D printed crown in Black Panther. Photo via Materialise.